No 747s, no package deals, no mass-marketing tourism. 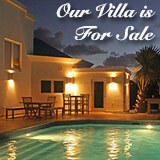 Anguilla is as remote and private as you can get. Well, almost. 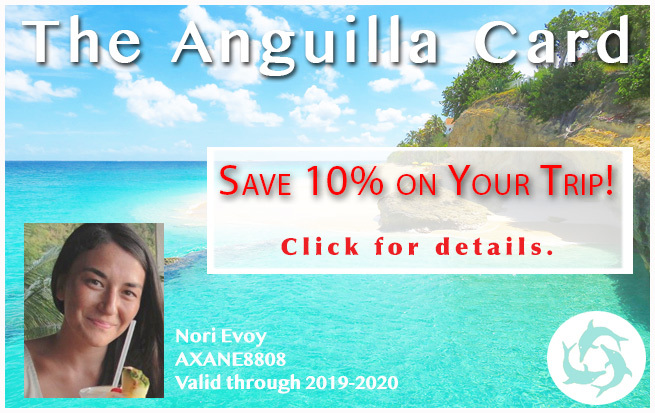 There is one Anguilla off-island cay so seductive in its idyllic-tropical-paradise beauty, taking you even further away from stress, hustle and bustle... A visit to Sandy Island is a must-do Anguilla activity. 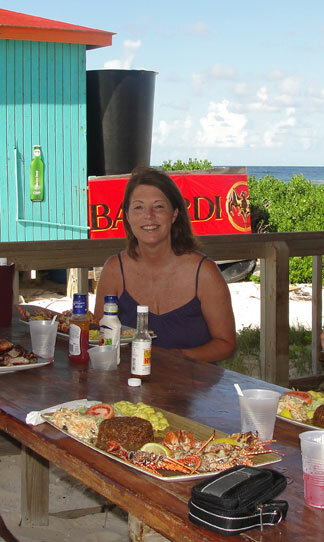 One of my favorite memories at Sandy Island was with the warm company of my Mom and two of our close friends. We rode on their boat. Together, the four of us popped in on the crew at Sandy Island and they were prepared to feed us. We were the only ones there that particular day. What a treat! Stepping off on to a small piece of ground in the middle of so much blue was so appealing. 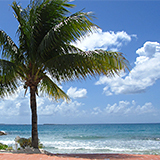 Swimming, sunning and sipping on rum punches, the memory of that day is burned into my memory. 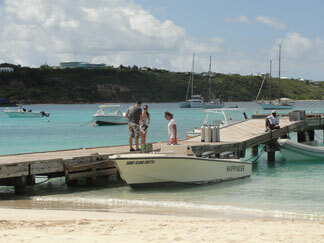 Sandy Island was calling my name, one lazy Sunday in Anguilla. With 9 friends (it's recommended to make reservations), we were ready to go. We met next to Johnno's on Sandy Ground. You can park there, or down the street at The Pumphouse. 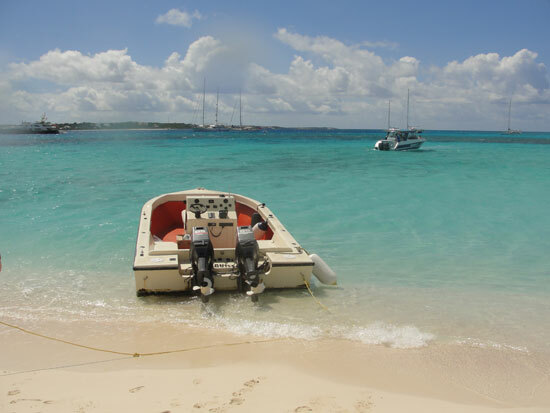 We then made our way to the Sandy Ground wharf and boarded "Happiness," a small motor boat that takes you over and brings you back. The boat ride is a fair $10 per person, round trip. "Happiness" leaves Sandy Ground every hour on the hour starting at 11am. We took the noon boat. 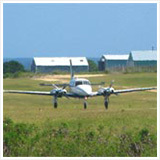 (You can also take a private Anguilla charter to Sandy Island). 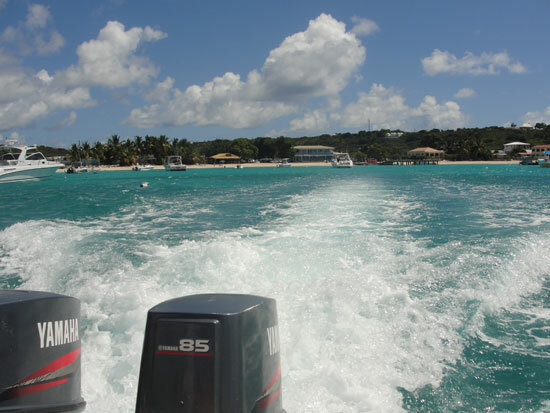 This is part of the fun of Sandy Island, especially if you like to be on boats, like I do. It's a pretty quick ride, almost too quick! ... And we're off. 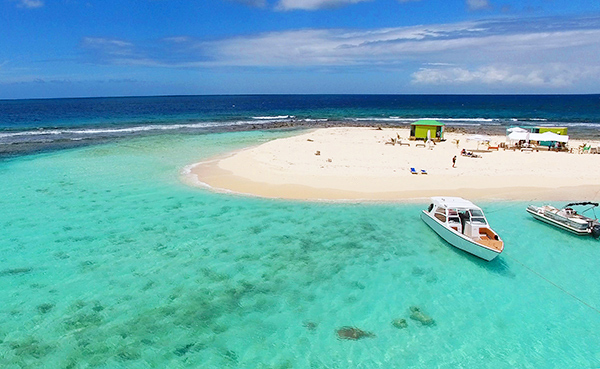 Departing Sandy Ground for Sandy Island! The crew helps you step down on to the beach and suddenly this tinier piece of paradise feels all your own, at least for the afternoon. Unlike my first visit, this particular Sunday was busy. 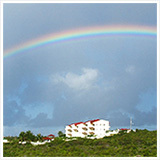 Some had come over on "Happiness" and some were from boats anchored off Sandy Island. 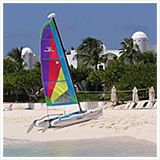 This off-island cay is particularly popular with boaters visiting from St. Martin. I quickly put in my order for "JoJo's Rum Punch," which I received promptly. The High Tide is another favorite Sandy Island exclusive cocktail. This one is Janice's (Nori's Mom's) favorite! Sandy Island now serves their drinks in nice, hard plastic stemmed "glasses," a nice upgrade from the plastic cups. This certainly gives the experience a "greener," more environmentally friendly feeling, and a certain a heightened feeling of elegance. 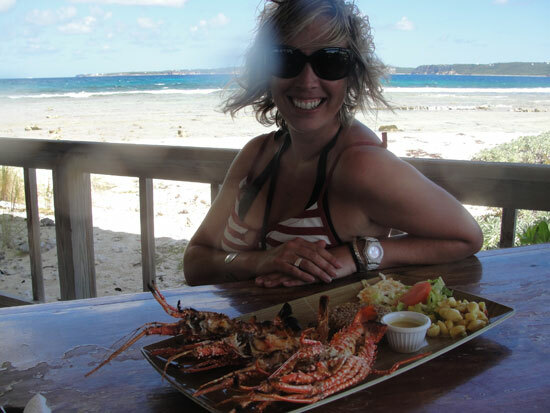 I also ordered my lunch of crayfish which arrived about 45 minutes later, as the main menu items are grilled to order. The crayfish lunch consisted of two crayfish (split), pasta salad, a side salad, cole slaw, and rice and peas and was priced at $50. The crayfish that day was a little over-cooked but it was still good enough to eat every bite. Some others in my group ordered lunches of ribs and chicken and they cleaned their plates too. 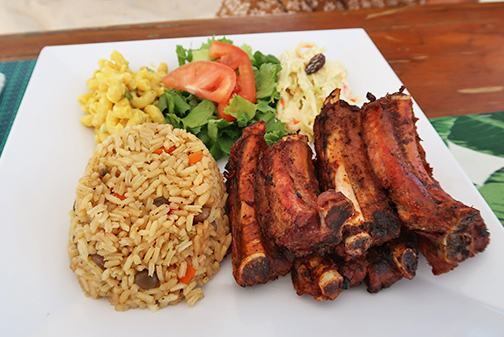 Sandy Island also serves lobster, grouper and snapper. Since I was with a larger group, I brought my dominoes, hoping at least one other person would want to play a little as we "limed" the afternoon away. There are plenty of nice picnic tables to hang out it, shaded or not. We laid our towel on the sand and chatted and relaxed. There were some beach lounge chairs stacked up for use, but the soft warm sand felt good. It was a windy day (in mid-February) and we were entertained by a nearby kite surfer with some skills! I watched snorkelers out in the distance. I've been told the sea life is particularly special. 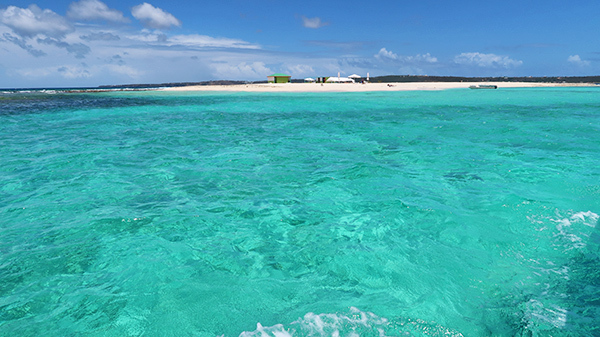 You can read more about snorkeling in Anguilla, here. 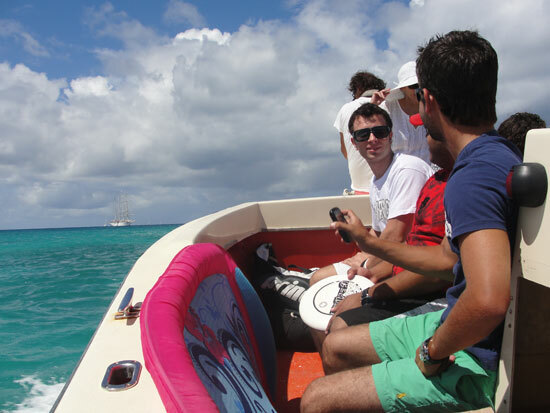 What a way to spend a day in Anguilla! 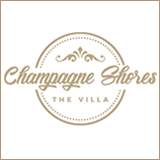 Explore, nap, snorkel, read, eat, sunbathe, swim, all with a true sense of secludedness. It doesn't get much better than that. I'm sure Michael Jordan can attest to that. 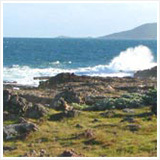 He has visited Sandy Island too. He actually bumped into his basketball buddy, Shaquille O'Neal, who was in Anguilla at the same time, and at Sandy Island too! 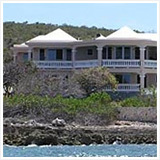 You can read more about Michael Jordan in Anguilla, here. 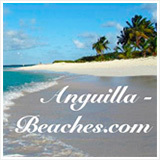 Even ABC's popular show called "The Bachelor" came to Anguilla held a private date on Sandy Island. The main difference was, "Happiness" wasn't running that day and they had to be dropped off via helicopter! 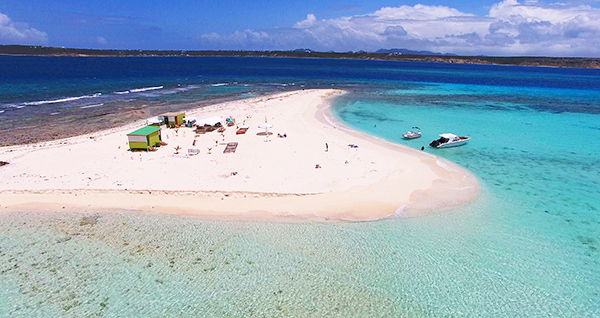 Sandy Island is certainly a celebrity favorite! It's no wonder why... It's just about as private as you can get. 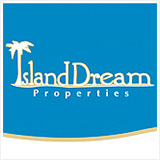 This island paradise has been in business since 1984. They even host private events! NOTE: There is a 5% charge when paying via credit card.